Banana Republic complaints number & email. Get verified information about Banana Republic complaints email & Phone number. Call the Banana Republic complaints line on 888-277-8953 if you have a complaint about a product or service. Other contact methods including online and post, and Banana Republic resolve to handle complaints in a systematic fashion keeping the customer informed at all times. 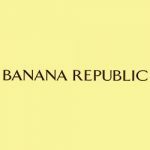 Banana Republic have a complaints line on 888-277-8953 where you can make your initial complaint. A structured process is in place to handle your issue and keep you informed on a regular basis, and various other contact methods are shown on the website in the ‘Contact Us’ section. Banana Republic is an American clothing and accessories retailer owned by American multinational corporation, Gap Inc. The original Banana Republic was founded by Mel and Patricia Ziegler in 1978. Gap Inc. acquired Banana Republic in 1983. eventually rebranding it as a mainstream luxury clothing retailer. Hopefully, We helped you to get some genuine records for Banana Republic Complaint information. Use below complaint form to discuss problems you have had with Banana Republic, or how they have handled your complaints. Initial complaints should be directed to Banana Republic directly. You can find complaint contact details for Banana Republic above.